Hayden Christensen is the current teenage heartthrob who has been making waves worldwide credit goes to his acting skills. This Canadian lad with his dashy looks, youthful personality and vivacious nature has set the box office on fire. Fondly nicknamed Den or simply H by his fans and friends, Hayden Christensen has made maximum impact with minimal screen time. Born in Vancouver, British Columbia on April 19th, 1981, Hayden Christensen showed his passion for acting right from his childhood. It was at the age of eight when he appeared in his first commercial for ‘Pringles’. But his big break came with Fox Family’s troubled youth show “Higher Ground” (2000). From then on, there was no looking back. Numerous awards and accolades followed thereafter for this Arian lad. His performance as the troubled, misunderstood teen in the movie “Life as a House” (2001) won him “Breakthrough Performance of the Year” from the National Board of Review. This film also placed him as a nominee for “Best Supporting Actor” at the Golden Globe and at Screen Actors Guild Awards. Hayden Christensen short spiky hairstyle. Hayden Christensen curly hairstyle. Photo by Lalo Yasky/WireImage. Besides being noticed for his acting prowess, Hayden Christensen with his ever changing hairstyle has become the style icon who loves to experiment with his blonde hair. This man has flaunted a wide range of hairdos like straight short hairstyle, curly medium hairstyle in which his gorgeous curly locks were cut into short layers, short crop hairstyle and wavy short hairstyle where his back and side have been jagged and long. Among many of Hayden’s hairdo is his signature razor cut that gives him the gorgeous drop-dead looks. In short, Hayden Christensen has tried almost every short hairdo including faux-hawk and carried off every style with equal élan. In his personal life, Hayden Christensen is engaged to actress Rachel Bilson and the two are to be wedded soon. With such loads of talent, versatility, determination, Hayden Christensen is surely one of the brightest and promising stars in the “Star war”. WoW! Nice post on men’s hairstyle! I agree, and using Hayden as your “example” is pure genius! 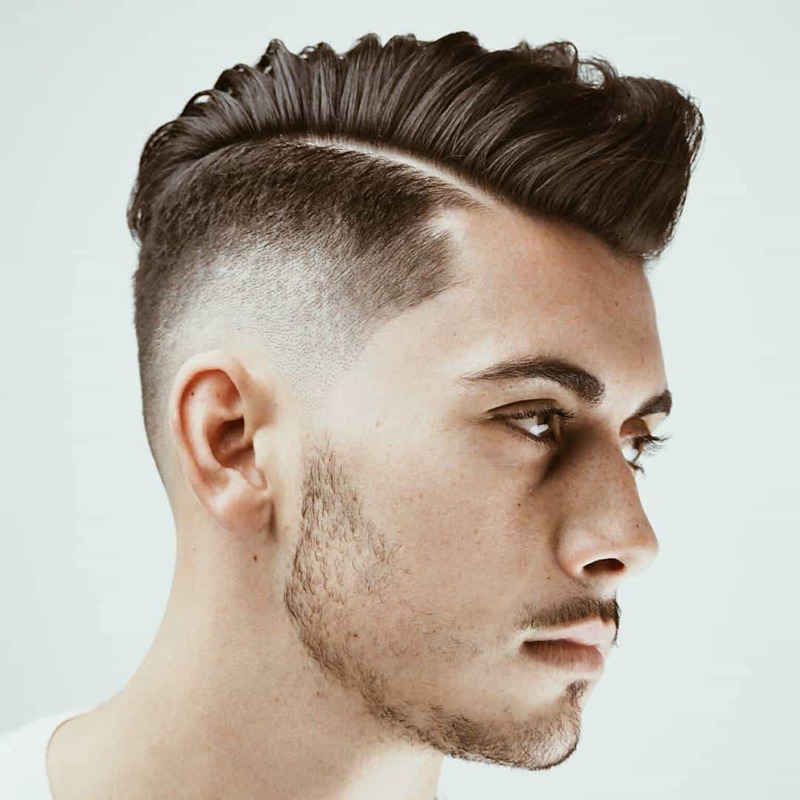 I think ALL men should have their hair a bit longer, especially on the sides it should be long enough to “flow” back…just looks so much sexier! I definately think the third one is best for him. I don't like the other ones, but that one's cool. I know him from playing ankin(sp?) skywalker in star wars, and that main character in jumper, a very good movie. Me too, love his hair longer. I think ALL men should have their hair longer, especially on the sides…it should “flow” back. But let’s face it…Hayden looks gorgeous in ANY hair style, except maybe a buzz cut..hate that hair cut! i really like the long hair when he play anakin skywalker.I did manage to get that hairstyle but now i have chopped it off all because of my friends saying it looks messy. i think the very last one is the best– it's not so curly/crazy as his other looks, but still adorably tousled. Why do all the hot guys come from Canada!?! Den is a beatifully talentented man. He had such awesome tenacity in his early acting as Sam in “Life as a House” that I recently watched.It changed my life forever,as it gave me closure with my own attitude towards my abandoning father and towards life in general.I wish him as much success in life and love as he can handle.God bless you always Big B! Cheers! The spikey look suits him best for present time and age!Although any way he could look righteous and rebellious!lol! NO one can beat Hayden Christensen on the big screen. He’s just so doggone NICE to look at and is a great actor. He’s been so responsible with the huge fame he received at only 19 years old…invasive and overnight! He’s handled it extremely well and has come out on the other side more mature and now he’s going to be a Daddy…WOW! Can’t wait to see him in AMERICAN HEIST with Adrien Brody and OUTCAST with Nicholas Cage!